Something has been wrong about in the analysis of color in Paraiba tourmaline since the original work done soon after the discovery of Paraiba tourmaline. I would like to list what information is relevance to the subject. 1, Copper which is a chromophore in Paraiba tourmaline is not effected by the relatively low temperatures used to produce cyan blue in Paraiba tourmaline. 2, Manganeses is easily and completely reduced from the 3+ state to 2+ state by heating eliminating the red coloration in Paraiba tourmaline . 3, Iron is found in very low quantities in most Paraiba, but is still proposed as a chromophore when it forms an IVCT reaction with titanium. 4, Titanium is found in very low quantities in most Pariaba, but is still proposed as a chromophore when it forms an IVCT reaction with iron and or manganese. 5. Paraiba tourmaline can be "over" heated. 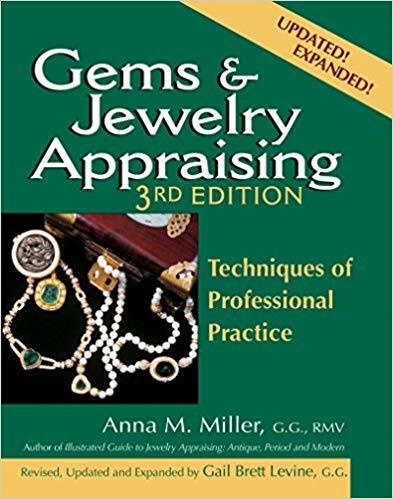 By which I mean, if the unheated rich blue/green sapphire like colored gem is heated at too high a temperature or for too long, the gem losses too much of its depth/richness of color. 6. Over heated Paraiba still has the neon blue green color if it contains enough copper. 7. Most green Paraiba touramline is produced by heating. 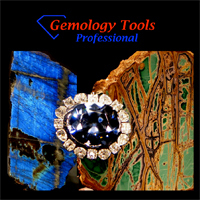 WHAT CAUSED THE RICH BLUE/GREEN COLOR IN UNHEATED PARAIBA TOURMALINE THAT WAS REDUCED TOO MUCH BY OVERHEATING. WHAT COLORED PROPERLY HEATED PARAIB TOURMALINE? COPPER THAT WAS UNAFFECTED BY THE HEATING AND RESIDUAL AMOUNTS OF IRON AS Fe3+-Fe2+ IVCT chromophore. WHY WAS THIS MISSED, BECAUSE IRON AND COPPER BOTH PRODUCE A BROAD BAND OF ABSORPTION IN THE 700 NM AREA OF THE VISIBLE SPECTRUM. The pieces have fallen together and produced a Paraiba tourmaline colored by iron and copper and manganese and titanium. Copper is unaffected by heating. Manganese is easily and completely reduced by heating. Titanium forms chromophores with either or both Manganese and Iron to help produce green with the copper chromophore, probably after heating. Heating Iron is prone to overheating as anyone knows, who has tried to lighten indicolite by heating and produced a next to colorless gemstone. WITH ALL THE COLORS NO WONDER HEATING PARAIBA TOURMALINE WAS COMPLEX AND DEMANDED A LOT OF EXPERIMENTATION. DISCLAIMER - Okay - I know nothing about this scientifically. Just thought it was an interesting similarity to your comments. i have garnet addiction/withdrawal, but bruce loves those tourmaline. Something has been wrong about in the analysis of color in Paraiba tourmaline since the original work done soon after the discovery of Paraiba tourmaline. All good and clear. What was the wrong thing? hey bruce, this isn't about paraiba color in tourmaline being wrong, but, my question is about indicolite tourmaline color. idicolite isn't usually heat-treated like the other tourmalines and are "natural beauties," or do they receive heat-treatment?? I think that the accepted definition of Paraiba tourmaline has the significant chromophores being copper and manganese with no mention of iron. Having iron in the picture helps explain why tourmaline from Afghanistan without copper has a Paraiba like color. It also helps make the amount of glow (neon) and depth of color more important to defining a Paraiba tourmaline than color. I hope that this doesn't disappoint you too much gingerkid, but indicolite from some places is routinely heated. I was just on a site that handles Namibian rough indicolite and all the pieces had been heated even before they were cut. I was of the general opinion that tourmaline is usually not heated until after it is cut or at least preformed, to get rid of the surface imperfections. In this way breakage is greatly reduced. thank you, bruce, for answering my question concerning whether or not indicolite is usually heat-treated. lol, kinda disappointed since i thought it might be one of the tourmaline which did not receive treatment, but, it's alright. Sorry to tune into this discussion late, but I agree with all your points except 6 and 7. Even the finest color of Paraiba, if it is heated to too high a temperature will become progressively more "pastel" in color and the neon effect will just go away even though the basic tone is still a weak turquoise. BTW, most indicolite is heated to a much higher temperature than Paraiba tourmaline. According to dealers in Teófilo Otoni, much of the Paraíba tourmaline was a very ugly, dirty oily green color before heating. I have a couple of small cut stones that show a hint of what this must have looked like. Low-quality indicolite is routinely heated in Brazil, but the best colors mostly come out of the ground that way. One dealer told me that he prefers to have his indicolites cut and polished before heating because, if the stones are only formed, a light coating on the facets sometimes occurs during heating, and it is apparently very difficult to polish out. On another subject, I recently saw photos of some aquamarines that were accidentally heated to 1000 °C when the oven malfunctioned, and as best I can describe, they looked devitrified and cloudy, and one even turned a very nice pink color. How long until we start seeing "Pink Aquamarine Museum Investment Top Unseen Gem" on eBay? n00b, you've got the thai ebay auction title down pat...makes me wonder if you are not the mastermind behind them all? Muwhahahahahahah Yor evul plan is werking! On number 6, Thanks for the input from experience. I have gotten mixed statements from what I have read about how much green was found naturally or came from heating at Paraiba. Part of the reason I became so interested in color in Paraiba is quotes like the following from the tourmaline issue of Extralapis. "Vivid blue and emerald green elbaite from the state of Paraiba in Brazil is currently the most desirable and most expensive tourmaline, and this locality has attained its own color variety; green stones are created when this blue, cuprian-tourmaline(or Paraiba tourmaline) is heat-treated." I think that the heating in this case could produce green by forming a Manganese/Titanium IVCT or Iron/Titanium IVCT reaction along with the original blue. "The most prized gem tourmaline from Paraiba is cuprian elbaite, the stones colored by Cu2+; since 1984, however other types of tourmaline have come from the same deposit, including dull, dark shades of green and brown and many other shades of green." This sounds like iron and titanium are producing the colors in this part of the deposit. 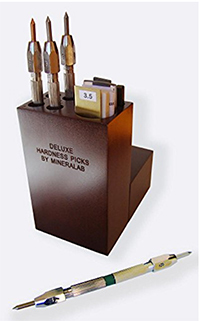 It also supports your evaluation of tourmaline from Paraiba. I was thinking of cuprian tourmaline rather than the deposit as a whole when I said that at least most (my new qualification) green is produced by heating. Am I still wrong? With this much variation in the deposit, I did not think it was reasonable to not find cuprian Elbaite without a significant amount of iron (being a chromophore) in it, yet iron had not been mentioned in the discussion of color in Paraiba tourmaline except as a possible IVCT with titanium in Paraiba tourmaline (forming green). I was amazed when the definition of Paraiba tourmaline never mentions titanium or iron and includes manganese when heat is used to eliminate the reddish shades of manganese to make Paraiba blue. In other words you don't need manganese to make Paraiba tourmaline. On number 7, there have been reports that the copper color can be reduced by heating in early research with Paraiba tourmaline, but that had been refuted by later research. "Contrary to the report of Bank et al. (1990), we found that the Cu2+ absorptions were not changed by heat treatment. We conclude, therefore, that heat treated Paraiba tourmalines exhibit colors attributed to Cu2+ and possibly to Mn2+-Ti4+ and Fe2+-Ti4+ charge transfer." With your statement about reducing high quality Paraiba tourmaline to a pastel blue without the glow through over heating, I wonder how important iron really is to Paraiba? It is fascinating. According to dealers in Teófilo Otoni, much of the Paraíba tourmaline was a very ugly, dirty oily green color before heating.